A leader’s ability to exhibit a creative, daring, and productive approach to solving organizational challenges is called innovation. Great leaders have learned to take a leap of faith and allow others to take risks and engage in creative enterprises. The push to innovate requires bravery and creativity by definition, and involves challenging the status quo. By instilling an innovative environment, leaders support their team in experiencing a sense of purpose and ownership over their work, because they are free to be creative and think outside the box. 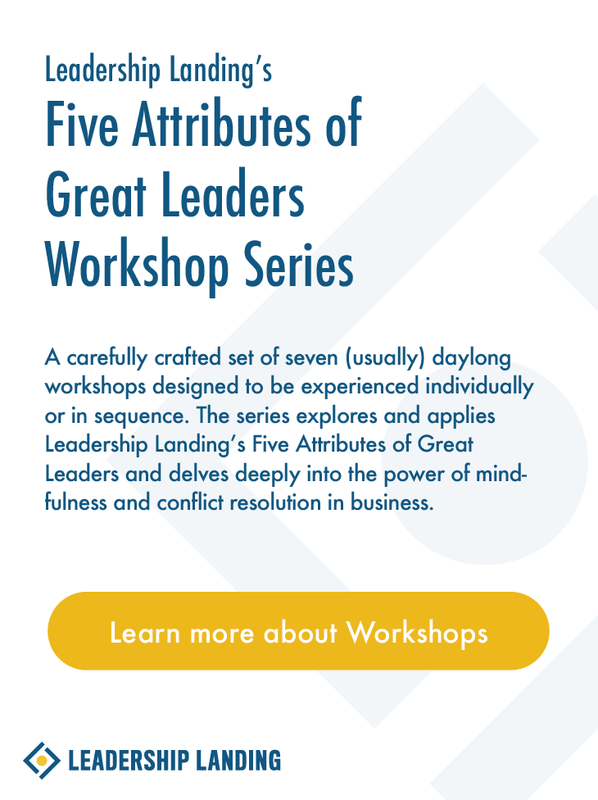 This 1 or 2-day workshop blends the art of theatrical improvisation with mindful meditation and leadership development delivering a fun, practical and engaging experience. Strategies for managing fear and risk are directly addressed and discussed. Participants are trained in beginning theatrical improvisation. The rules of improv are simple: Be spontaneous, Make your partner look good, Build on other’s ideas, and are directly applied to real-time organizational challenges in the workshop. Mindful meditation techniques are utilized to further deepen and ground the work.